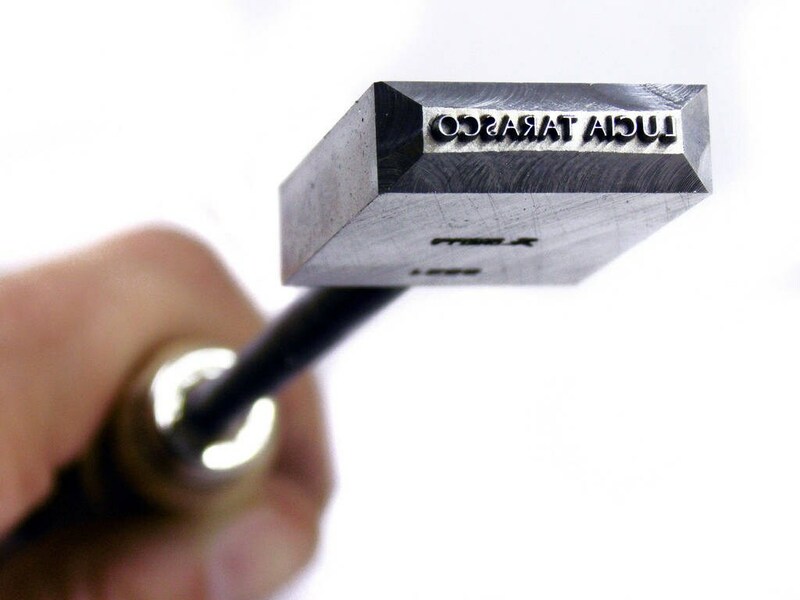 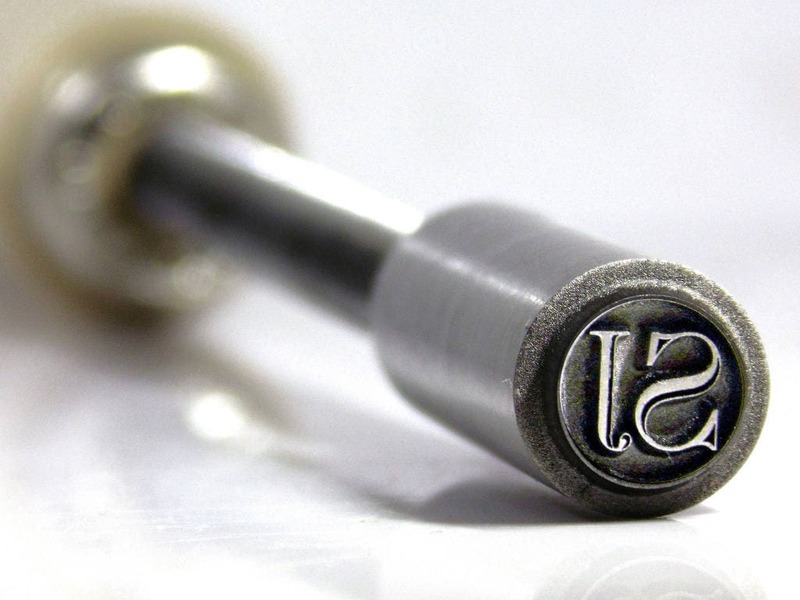 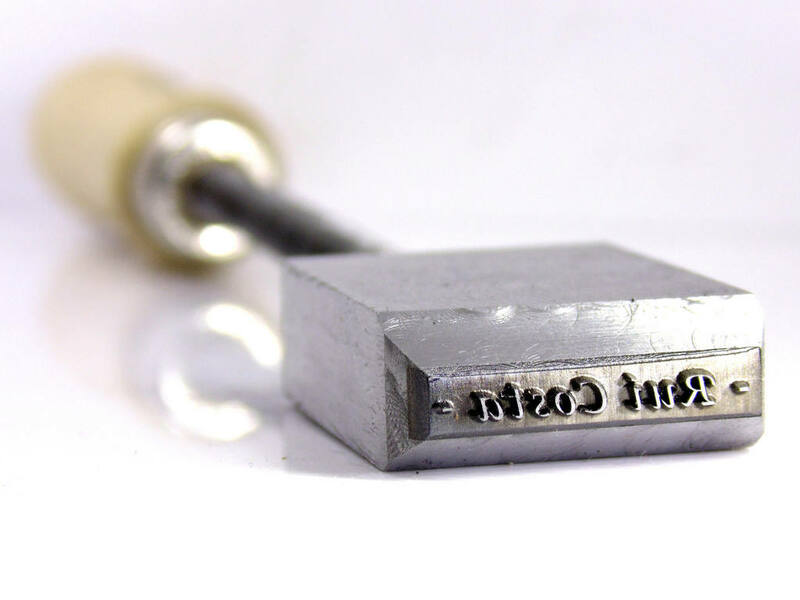 Custom Luthier branding iron, small stamp or seal made of steel with a wooden handle. 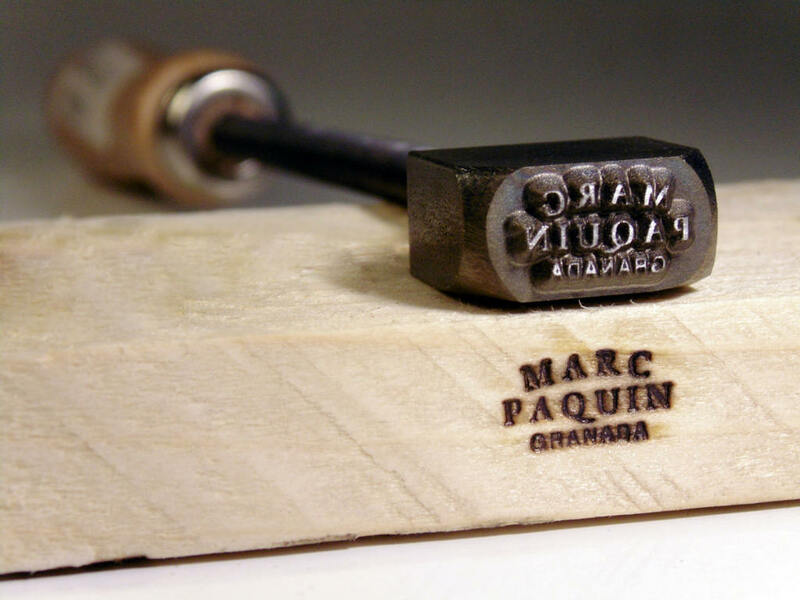 It must be heated by fire for marking wooden musical instruments like, guitars, violins, banjos, mandolins, bandurrias, ukeleles… with the signature or logo of the artisan. 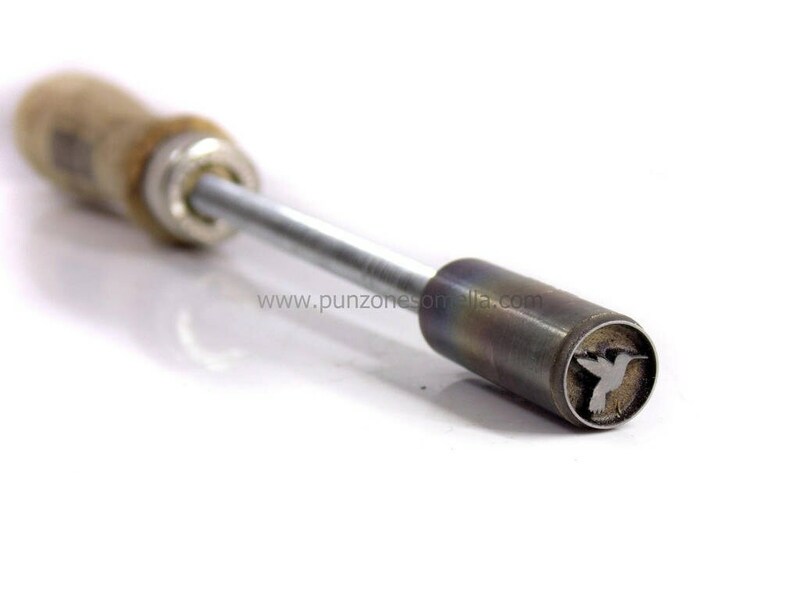 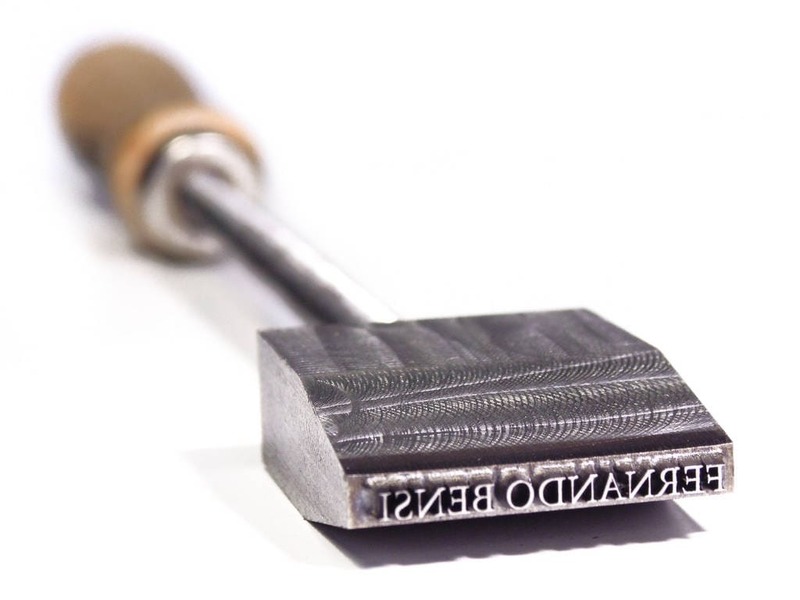 It can also be used by pressing the stamp with the wooden handle unheated. 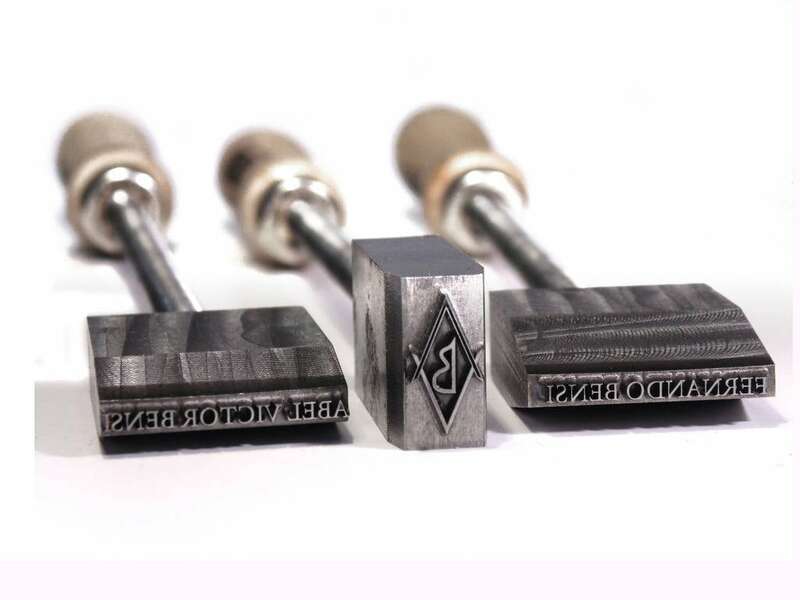 Being made of steel, Hard Stamps achieves with it's luthier branding irons excellent durability and perfect marking despite the small size which usually have text or logos of the luthiers firms. 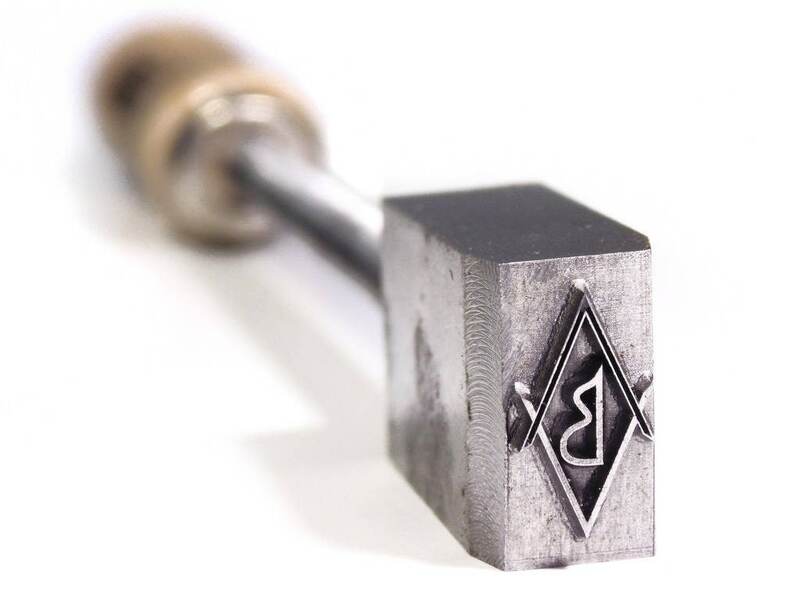 This luthier steel stamp, is also suitable for woodburning or marking other other wooden objects with small and delicate markings.